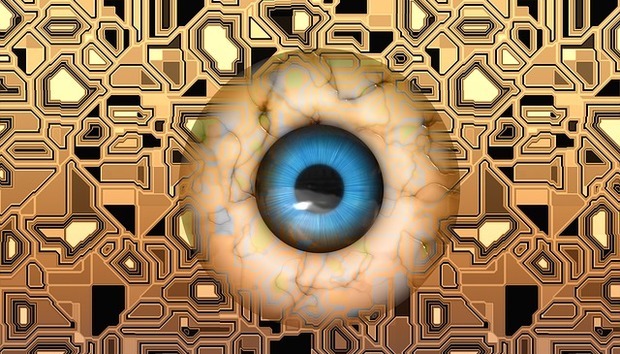 Passing the Turing Test: A Victory for AI? It's not a "supercomputer”, it's a chatbot! The Turing test has been passed before. It didn’t even pass the Turing test. Passing the test is not a true measure of artificial intelligence. “To pass the Turing test, a machine needs to fool more than 30% of the interrogators that it is more human than the humans it is up against,” Kevin Warwick, a Professor of Cybernetics at Reading University tells me. The test that Warwick is referring to is from a paper that was published by one of the founders of modern computing, Alan Turing. The Turing test is a way of determining whether or not a computer counts as “intelligent”. This weekend, according to Reading University, this is exactly what Eugene Goostman did. The “supercomputer” or “chatbot” managed to convince ten out of thirty human judges they were speaking to a real teenage boy during a five minute period. But according to Murray Shanahan, a Professor of Cognitive Robotics at Imperial College London, the Turing test has not been passed and the claim based on Turing’s paragraph has been taken out of context. “There are lots of issues here. [Firstly] Turing was envisaging a normal English speaker, not a 13-year old non-native English speaker,” Shanahan says. Shanahan has raised a good point. Why did the organisers decide to use a non-native English speaker, and a teenager in the test? It seems like the bar was not set very high. The five minute rule seems a bit odd to me as well. Would Eugene have been able to convince the judges he was human if the conversation lasted longer than five minutes? “The five minute benchmark is indeed rather short. But that is what Turing clearly stated on several occasions. What it does give is a first impression,” Warwick says. “If the conversation lasted for say 20 minutes then it would most likely have been more difficult for Eugene to fool more than 30% of the interrogators, but then if it was longer than five minutes it would not be the Turing test. People are interested in the Turing test and the Turing test is based on five minute conversations,” Warwick adds. I am glad that Warwick admits Eugene would probably not have been able to fool the judges for longer than five minutes. But this brings into question the validity of the Turing test itself as a measure for artificial intelligence. I decided to have a little conversation with Eugene myself. Admittedly, the experiment is a bit biased as I already knew I would be chatting with a computer programme. But rather than throwing hard-hitting questions at him, I decided to just keep it simple. I only spent a few minutes with Eugene but it was enough to understand the scepticism surrounding him. He clearly tried to change the subject a few times but used keywords to give the appearance of holding a conversation. His last line to me was repeated from what he said earlier and made me wonder how the judges were fooled. So what does all this mean for AI – if anything? According to Shanahan, not very much. “Turing's paragraph is a prediction about how far along the road we would be to AI by 2000. He doesn't say that meeting these weak criteria would constitute success in achieving human-level AI. I imagine that, for that, he would require much longer conversations,” Shanahan says. So I guess there is no need to fear robots yet. Still, there is something to be said for a computer programme being able to fool some humans - perhaps there is something to be learned about human nature. Read our May report: Is 2014 the Year of Artificial Intelligence?